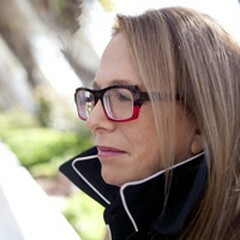 Laura Karpman, a faculty member in USC Thornton’s Screen Scoring program, was quoted in The New York Times’ recent article, “Female Composers Are Trying to Break Film’s Sound Barrier.” Karpman is a governor in the music branch of the Academy of Motion Picture Arts and Sciences and has been instrumental in expanding the branch’s diversity. The article says women have been “sorely unheard in Film music” and cites a 2018 study by the USC Annenberg School for Communication and Journalism that revealed this vast discrepancy. According to the study, from 2007 to 2017, only 16 female composers were hired to score the annual top 100 grossing films, compared with more than 1,200 men. “The numbers are bleak, but the landscape isn’t,” Karpman said. “People are reaching out in a way that I’ve never seen it my whole career.” New initiatives are making the scoring of major motion pictures more inclusive.